You have to be loving the food in Galicia! You and I could be top consumers of pulpo in this country! As a veggie, Espinacas con garbanzo gets our vote. We love the green stuff. A great Canarian dish is potaje de berros (watercress stew). 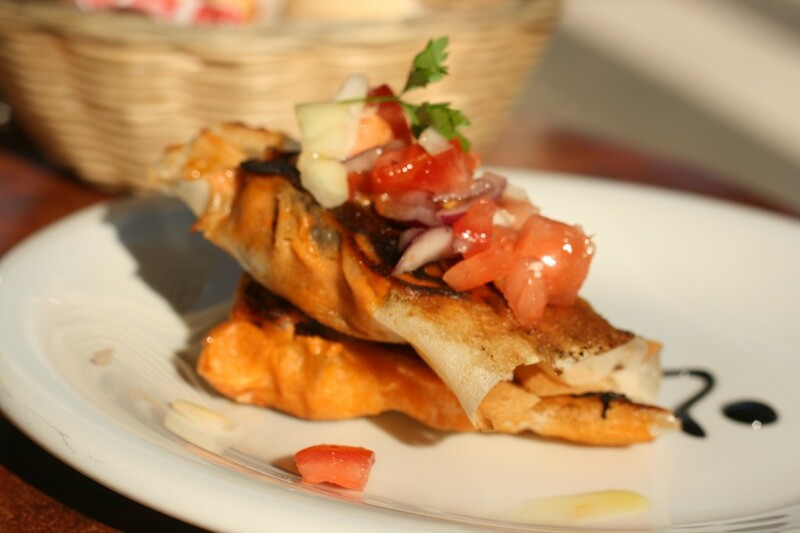 I’m definitely interested in looking into Canarian food again! Great post, Twin!! Excellent subject, obviously! I have to say, I am familiar with these foods! Guess my cookbook must be authentic!! 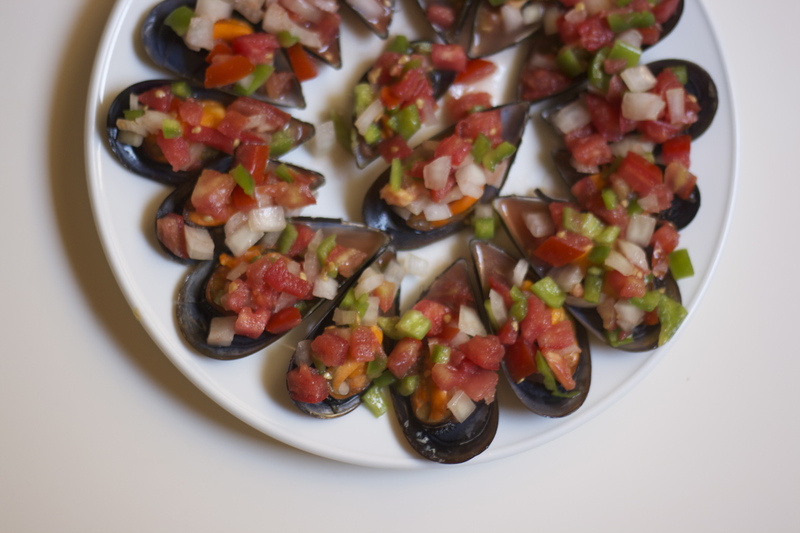 The clams we have in the US are expensive and not as good as the ones of Andalucia look! The baby clams are the best. Just a bit of oil and parsley on a skillet, and they open right up! It’s weird how once you’ve spent time in Spain your tastes start to change. When I first came to live here I would never have eaten puntillas or rejos but now they’re my favourite dishes, made all the better for the fact that my old friends from the UK insist they would never eat them! I love fried fish, though never ate any as a kid! My parents were shocked when I asked for lobster on my 27th birthday last year! I love the diversity of food in Spain and keep discovering new things I haven’t tried. You completely threw me with the fried eggs though. My wife’s English with Irish roots and I’m Scottish and we’ve only ever fried eggs the same way as the Spanish. I’m not an egg eater, but I think we flip them in America! I guess I never made the distinction, but know Katie eats them a lot! It’s a cuisine that surprised me. Like Katie, I grew up on potatoes and pork, so I assumed Spanish food wouldn’t do much for me. It has, both for my understanding of culture, and for my waistline (in a good way!). I need to cook myself some espinacas con garbanzos ASAP. Looks like a meal I’d really enjoy, especially in this weather! I’m not a fan, but everyone else seems to like them! You might also like acelgas in a pressure cooker – really simple and yummy! i bet that none of you have heard of “michirones”, one of the mejores platos that a person will ever try! Wish I could take the credit, but it belongs to the author of the article! she’s a pro! Oh my gosh. I never heard of ANY of these, and now I think I need to research them all. Esp love the fried fried egg. YUM! I recently made espinacas con garbanzos for Mario, and he flipped out! Seriously loved them, and apparently I did/do something different than his mother, but now I can’t remember my exact process … oops. I too cringe when I think back on my first semester in Spain. I had no idea about ANYTHING, really. I’m glad I didn’t write too much about Spain, because it’d be all wrong. The only thing I did know was marzipan, because I studied in Toledo. Oh, and I too learn names of fish in English and Spanish a la vez. Okay, sorry for commenting a zillion times, but re: huevos fritos, so right! Mario’s parents have some friends with chickens (they all bought them together or something), so we had those, and SUCH a difference from regular eggs. With pan de pueblo, diviiiiiiiiiiiine. I am very hungry. Can you tell? Lillie – @WorldLillie recently posted..Welcome to the World, Our Beautiful New Baby! I first tried a Spanish fried egg at a tapas bar in Philadelphia–it was like nothing I’d ever tasted and incredibly delicious! I love learning new ways to eat familiar foods! 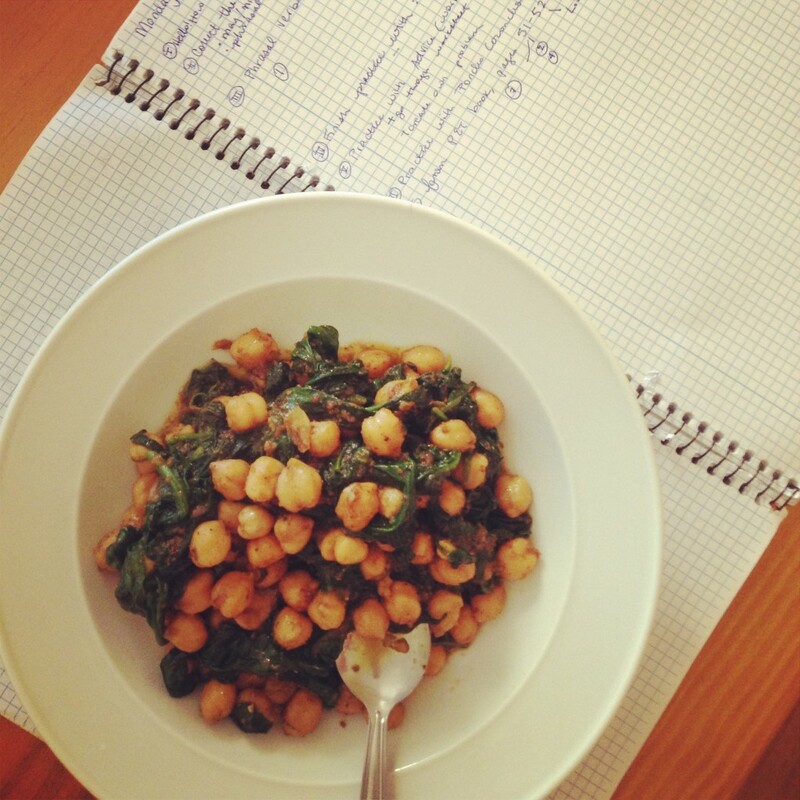 There were news to me, but it’s raining as I write, and I’d love to tuck into some spinach and garbanzos right now! Terry at Overnight New York recently posted..Refinery Hotel: Seasonal Cheer! 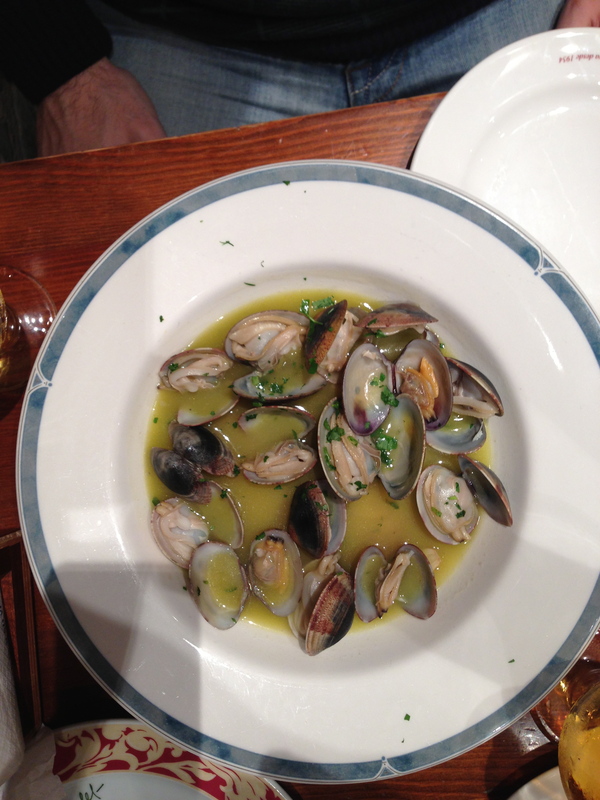 I ate Coquinas at Cal Pep in Barcelona… and *OMG* they were so amazing!!! They’re some of my favorites! !